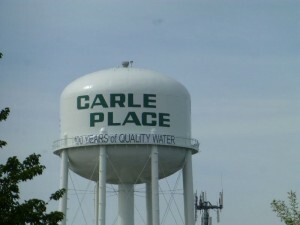 The Carle Place Water District is celebrating its 100th anniversary. With some 36 miles of water mains and over 350 hydrants, the District continues to fulfill its mission of delivering a plentiful supply of high quality water. Congratulations on a job well done to Commissioners Timothy Stellato, a past NSWCA President, Lawrence F. Zaino, and Peter Meade, as well as Superintendent Timothy J. Doyle and the dedicated staff of the Carle Place Water District.